Chantal Jolagh, a science-writing intern at the Stanford News Service, contributed to this story. The radioactive decay of some elements sitting quietly in laboratories on Earth seemed to be influenced by activities inside the sun, 93 million miles away. Is this possible? Researchers from Stanford and Purdue University believe it is. But their explanation of how it happens opens the door to yet another mystery. There is even an outside chance that this unexpected effect is brought about by a previously unknown particle emitted by the sun. "That would be truly remarkable," said Peter Sturrock, Stanford professor emeritus of applied physics and an expert on the inner workings of the sun. The story begins, in a sense, in classrooms around the world, where students are taught that the rate of decay of a specific radioactive material is a constant. But that assumption was challenged in an unexpected way by a group of researchers from Purdue University who at the time were more interested in random numbers than nuclear decay. 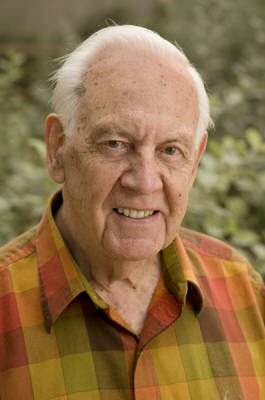 Ephraim Fischbach, a physics professor at Purdue, was looking into the rate of radioactive decay of several isotopes as a possible source of random numbers generated without any human input. As the researchers pored through published data on specific isotopes, they found disagreement in the measured decay rates - odd for supposed physical constants. Checking data collected at Brookhaven National Laboratory on Long Island and the Federal Physical and Technical Institute in Germany, they came across something even more surprising: long-term observation of the decay rate of silicon-32 and radium-226 seemed to show a small seasonal variation. The decay rate was ever so slightly faster in winter than in summer. Was this fluctuation real, or was it merely a glitch in the equipment used to measure the decay, induced by the change of seasons, with the accompanying changes in temperature and humidity? "Everyone thought it must be due to experimental mistakes, because we're all brought up to believe that decay rates are constant," Sturrock said. On Dec 13, 2006, the sun itself provided a crucial clue, when a solar flare sent a stream of particles and radiation toward Earth. Purdue nuclear engineer Jere Jenkins, while measuring the decay rate of manganese-54, a short-lived isotope used in medical diagnostics, noticed that the rate dropped slightly during the flare, a decrease that started about a day and a half before the flare. The decay-rate aberrations that Jenkins noticed occurred during the middle of the night in Indiana - meaning that something produced by the sun had traveled all the way through the Earth to reach Jenkins' detectors. Jenkins and Fischbach guessed that the culprits in this bit of decay-rate mischief were probably solar neutrinos, the almost weightless particles famous for flying at almost the speed of light through the physical world - humans, rocks, oceans or planets - with virtually no interaction with anything. Then, in a series of papers published in Astroparticle Physics, Nuclear Instruments and Methods in Physics Research and Space Science Reviews, Jenkins, Fischbach and their colleagues showed that the observed variations in decay rates were highly unlikely to have come from environmental influences on the detection systems. Their findings strengthened the argument that the strange swings in decay rates were caused by neutrinos from the sun. The swings seemed to be in synch with the Earth's elliptical orbit, with the decay rates oscillating as the Earth came closer to the sun (where it would be exposed to more neutrinos) and then moving away. So there was good reason to suspect the sun, but could it be proved? 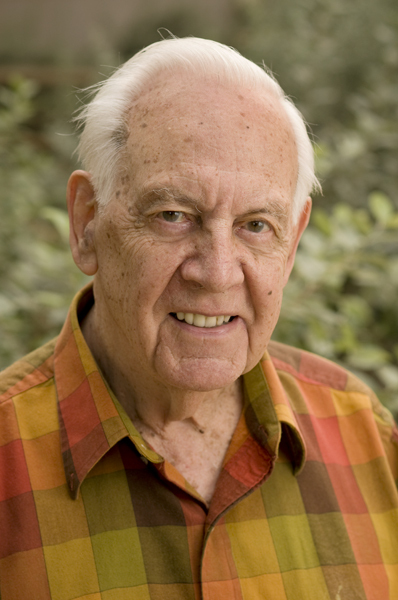 Enter Peter Sturrock, Stanford professor emeritus of applied physics and an expert on the inner workings of the sun. While on a visit to the National Solar Observatory in Arizona, Sturrock was handed copies of the scientific journal articles written by the Purdue researchers. Sturrock knew from long experience that the intensity of the barrage of neutrinos the sun continuously sends racing toward Earth varies on a regular basis as the sun itself revolves and shows a different face, like a slower version of the revolving light on a police car. His advice to Purdue: Look for evidence that the changes in radioactive decay on Earth vary with the rotation of the sun. "That's what I suggested. And that's what we have done." Going back to take another look at the decay data from the Brookhaven lab, the researchers found a recurring pattern of 33 days. It was a bit of a surprise, given that most solar observations show a pattern of about 28 days - the rotation rate of the surface of the sun. The core of the sun - where nuclear reactions produce neutrinos - apparently spins more slowly than the surface we see. "It may seem counter-intuitive, but it looks as if the core rotates more slowly than the rest of the sun," Sturrock said. All of the evidence points toward a conclusion that the sun is "communicating" with radioactive isotopes on Earth, said Fischbach. But there's one rather large question left unanswered. No one knows how neutrinos could interact with radioactive materials to change their rate of decay. "It doesn't make sense according to conventional ideas," Fischbach said. "It's an effect that no one yet understands," agreed Sturrock. "Theorists are starting to say, 'What's going on?' But that's what the evidence points to. It's a challenge for the physicists and a challenge for the solar people too." "It would have to be something we don't know about, an unknown particle that is also emitted by the sun and has this effect, and that would be even more remarkable," Sturrock said.